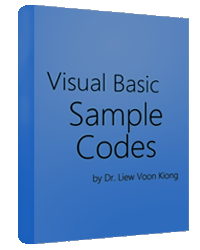 We can create a simple virtual drawing program using Visual Basic 6 as shown in the figure below. We called it drawing pad. In this program, the user needs to fill in all the coordinates and selects a color before proceeding to draw the required shape. If the user forgets to fill in the coordinates or selects a color, he or she will be prompted to do so. 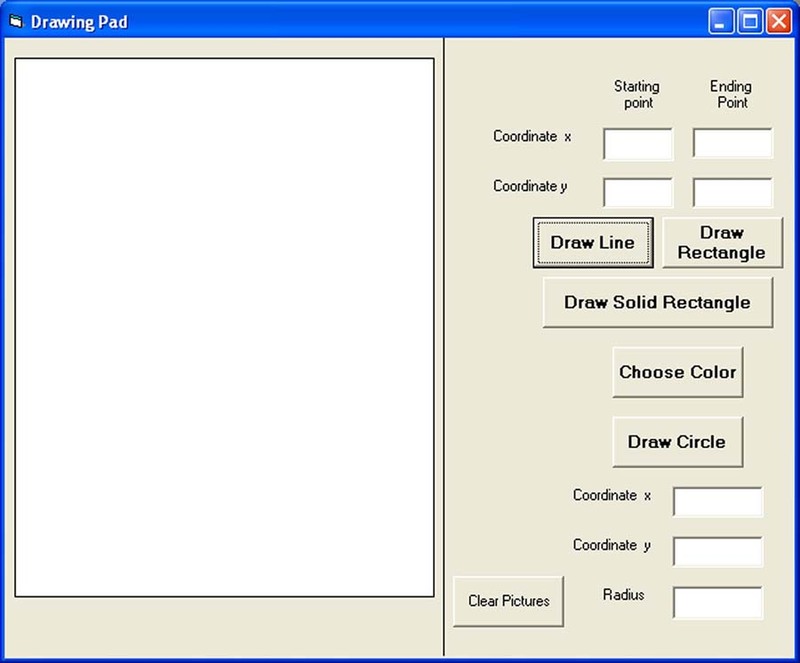 To create the drawing pad, you need to insert a common dialog control, a picture box, four text boxes , six command buttons and the necessary labels. The function of the common dialog control is to assist the users to choose colors. The text boxes are for the user to enter the coordinates and the picture box is to display the pictures drawn. where picture1 is the picture box, (x1,y1) is the coordinates of the starting point, (x2, y2) is the ending point and color understandably is the color of the line. Where (x3, y3) is the center of the circle and r is the radius.